The money mobilised through the loans will be used for the development of tier-II infrastructure. VIJAYAWADA: With the State government agreeing to extend counter guarantee for borrowing loans from banks for the construction of Amaravati, the Andhra Pradesh Capital Region Development Authority (APCRDA) is in the process of finalising agreements with various banks for raising Rs 10,000 crore. While the authority has already gotten in-principle approvals for Rs 5,500 crore from various banks, it is in talks with a few more for the remaining amount. 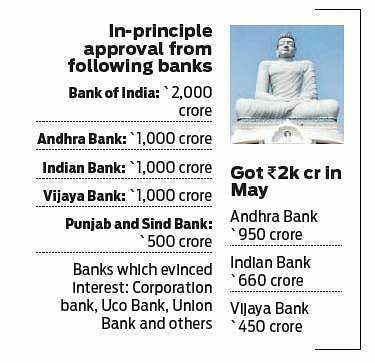 “Andhra Bank, Indian Bank, Vijaya Bank, BoI, and Punjab and Sind Bank have agreed in-principle to provide Rs 5,500 crore loan. Three more banks have evinced interest to loan Rs 4,500 crore,” the Special Commissioner of APCRDA, V Rama Manohar Rao told TNIE. The interest rate for the loans is between 8 and 8.2 per cent. The Rs 10,000 crore loan to be borrowed is in addition to the previously approved loan of Rs 2,060 crore.“We got the sanction for Rs 2,060 earlier this year, but we were not able to draw them as the government did not extend guarantee. 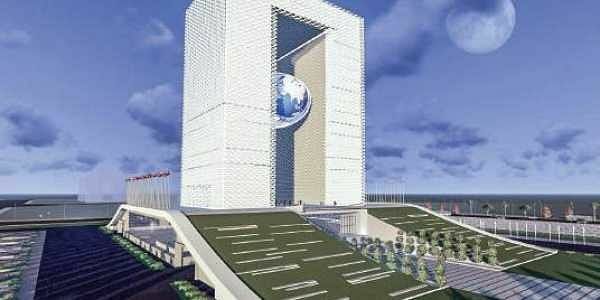 Now that the guarantee has been given, we expect to draw the funds from Rs 2,060-cr-tranche soon,” another official said. It maybe recalled that the State cabinet had agreed to provide guarantee to borrow the loans. The authority will be able to tap the Rs 10,000-cr-loan once the administrative procedures, which are likely to take a month or two, are completed. The money mobilised through the loans will be used for the development of tier-II infrastructure. “These funds will be spent on infrastructure creation in the LPS layouts, which would be returned to the farmers who gave the lands,” the official observed.